We summarized our findings on the modeling of a building in Autodesk Revit and Graphisoft ArchiCAD. These are both BIM-software applications. BIM stands for Building Information Modelling. BIM (Building Information Modeling) is an intelligent 3D model-based process that gives architecture, engineering, and construction (AEC) professionals the insight and tools to more efficiently plan, design, construct, and manage buildings and infrastructure. It first appeared as early as 1962, when Douglas Engelbart wrote his paper “Augmenting Human Intellect: A Conceptual Framework” and described architect entering specifications and data into a building design and watching a structure take shape—a concept very similar to modern parametric modeling. The benefits from Building Information Modelling (BIM) correspond to the quality and depth of information in the model. For a long time 2D CAD most commonly used to design vector-based layouts, Architects use CAD software to create overhead views of building floor plans and outdoor landscapes. These layouts, which contain vector graphics, can be scaled to different sizes, which may be used for proposals or blueprints. 2D CAD also includes drawings, such as sketches and mockups, which are common at the beginning of the design process. However, 3D CAD provides the possibility for several real-world applications, such as product design, civil engineering, and simulation modeling. 3D CAD includes computer-aided manufacturing (CAM), which involves the actual manufacturing of three-dimensional objects, for an easier comprehension and visual presentation. Like 2D CAD drawings, 3D (BIM) models are typically vector-based, but the vectors include three dimensions, rather than two. This allows designers to create complex 3D shapes that can be moved, rotated, enlarged, and modified. Some 3D models are created exclusively of polygons, while others may include Bézier curves and other rounded surfaces. There are many CAD programs which enable us to use the intelligent model-based process to plan, design, construct, and manage buildings and infrastructure. Some of them which we will be reviewing are Revit Architecture and ArchiCAD. ARCHICAD is brought to you in New Zealand by Central Innovation Limited, which also provides essential support, services and training to enable you to realize the full benefits of your investment. 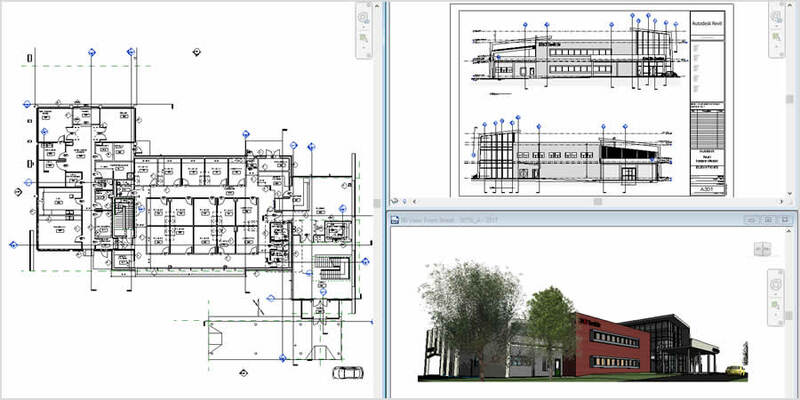 ArchiCAD is built for BIM and Virtual Building Modelling. It’s primary purpose is making building models, with integrated properties. It’s object-oriented, supports IFC and relies upon its parametric object capabilities. It does have a usable drafting feature set, which is straight-forward to use. It can also be extended. ArchiCAD can also be used as a drafting system, this is not its best use though because unlike AutoCAD which is majorly vector based 2D drafting system. Most people use ArchiCAD for its specific building object tools (Wall, Slab, Door, Windows, Section, Elevation, …) to define a 3D building model which is also used to create construction documentation. 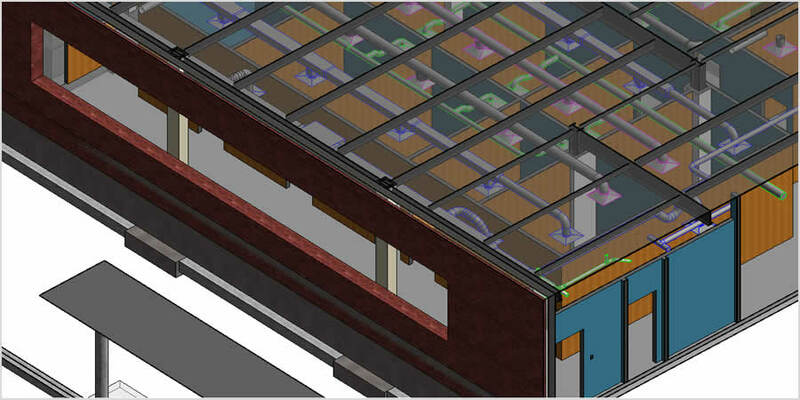 The main difference: in ArchiCAD drawings are integrated with the model. ArchiCAD provides complex trimming techniques to help the editing of Roofs and Shells. When we have a series of elements that we want to Trim to the Roofs and Shells above them, we can select all elements involved, then use the Connect… Trim Elements to Roof or Shell command of the context menu to make very neat connections. ArchiCAD Provides Editing tools that enables complex combined roof editing, complex angle, pitch, thickness, height and many more customized editing. Freely move extrude and extend any nodal points on the of and use the trim feature to trim unwanted elements to the roof and create your perfect and functional roof. Basically there is a popular saying that “There’s no plan that ArchiCAD cant roof”. Select from a a selection of different types of skylight, each one fully customization from the appearance, the sash, the mullions, pitch, height, thickness and overall behavior. ArchiCAD has a DRAG operations for elements in the 3D window.It works uniformly for the dragging of all 3D element types in the 3D Window. Autodesk Revit Architecture is a robust architectural design and documentation software application created by Autodesk for architects and building professionals. 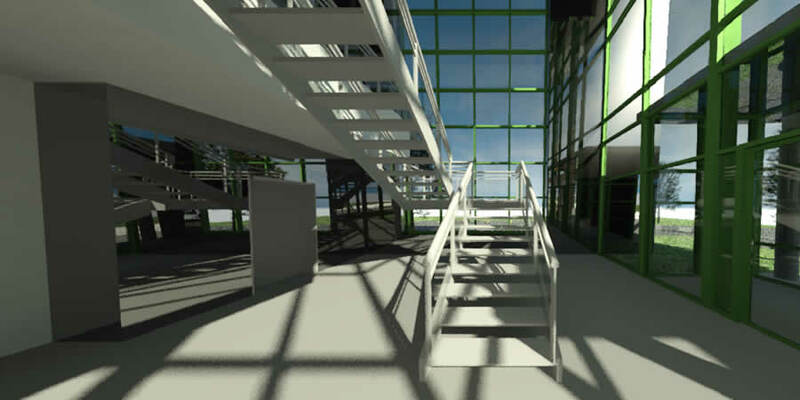 The tools and features that make up Revit Architecture are specifically designed to support building information modeling (BIM) workflows Individuals who currently work in or are pursuing careers in architectural and other building professional fields will discover many benefits of using Revit Architecture. The software workflow not only maximizes productivity but also helps to enhance your design and documentation workflows; speeding projects from design to completion while automating updates across your model with a single design change. Since Revit is a multi-discipline BIM platform, you can share model data with engineers and contractors within Revit, reducing coordination tasks. The morph and shell feature makes it possible to create just about any complex model element possible, However people have said that the complexity of the modeling tools makes it hard for a beginner to properly use it well, but if you know your way around it ArchiCAD has proved to be the most versatile modeling software for Architecture, Civil, Mechanical and Electrical Engineering. Our Best Feature: ArchiCAD is the easiest way to import the plans, is just to drag the file from the location you stored it and drop it into the ArchiCAD drawing area, it is also possible to import all kinds of other file types. The most important formats are PDF, DWG, DXF, PNG and IFC. Popular Reviews has shown that revit offers the most flexible modeling tools, out of the two, and basically easier to learn for a beginner whom only wishes to produce basic stunning designs. 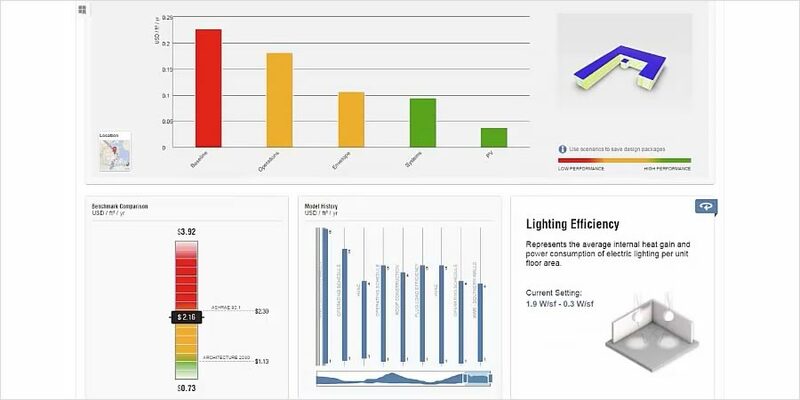 Our Best Feature: We found it easier to edit wall profiles and model properties for easier customization. However in contrast to ArchiCAD, you cannot drag PDF-files directly into Revit. Although this was not an issue in our project, this is quite a handicap. There is a work-around however, by converting your PDF to an image-file with a convertor. Not being able to drag PDF’s directly felt strange, since this file type is a widely used format.